Giving back is not an empty phrase for Dominique Maloy. Horace Langford Jr./Pahrump Valley Times Former Pahrump Valley and Arizona State track star Dominique Maloy is back for another series of "A Youth Sports Experience" beginning Friday, March 16. 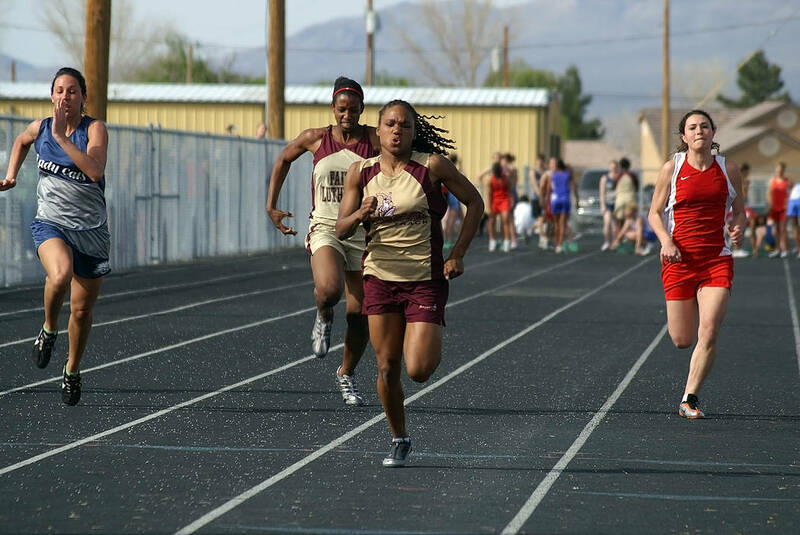 Horace Langford Jr./Pahrump Valley Times Dominique Maloy, center, as a sprinter at Pahrump Valley High School in 2005. 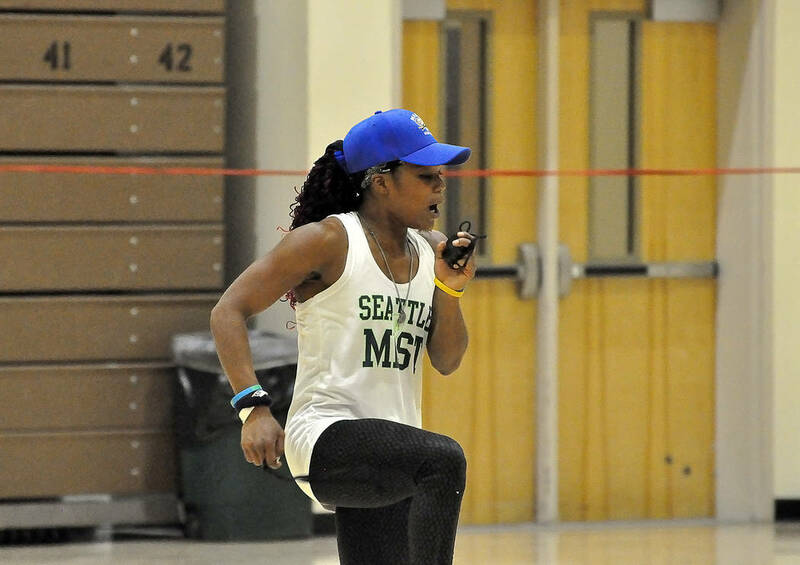 The 15-time Class 3A state champion in track and field returns to the school for another in her series of youth sports clinics over the next three weekends. The former Pahrump Valley track star and Arizona State All-American has been offering mini-camps for youth sports for the past couple of years, and the latest edition of “A Youth Sports Experience” will be offered over the next three weekends at the high school. “A YouthSports Experience is a sports performance program offered to influence and develop each athlete’s talent and character into ability and presence,” Maloy said. Maloy’s credentials in athletics are staggering. She was a 15-time Class 3A state champion on the track for the Trojans, winning the 100, 200 and 400 all four years and capturing the long jump three times. She went on to an outstanding career running for Arizona State and ran her way right into professional football. The Legends Football League gives women the opportunity to play football, and Maloy is very big on taking advantage of, and creating, opportunity. As a member of the Seattle Mist, she helped her team win the league championship last season, gaining 8.8 yards per carry and scoring nine rushing touchdowns while also catching 12 passes for 102 yards and two touchdowns. This season, she will play for the Nashville Knights. But it’s not about a specific sport at A Youth Sports Experience. Maloy’s clinics focus on coordination, balance, speed, agility, strength, mental toughness and endurance. Past participants and parents have raved about Maloy’s ability to teach techniques and her motivational skills, which is not surprising considering her reason for doing the camps. “Through the source of our heartbeats, there is an equality in all of us,” she said. “And all of us deserve a shot at it. That doesn’t mean anyone is guaranteed any result, but that every athlete is guaranteed the opportunity to self-actualize into their highest, truest expression. Enrolling in the sports camp is easy: Just show up. And the price is right: $10 for one day or $15 for all three days of a weekend session. Maloy also holds 10 sponsored spots for young athletes who cannot afford the price.